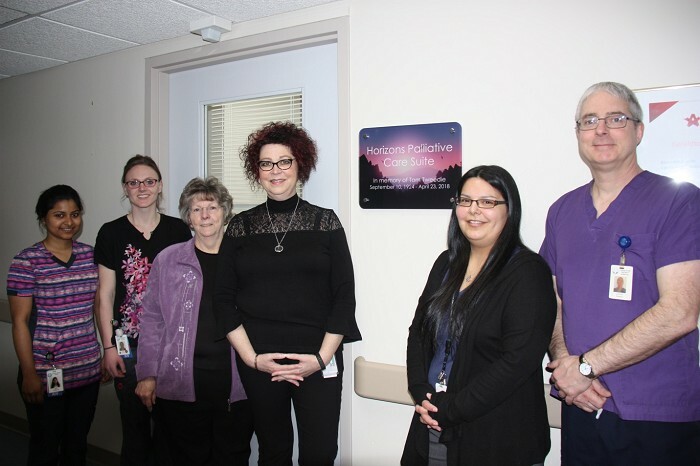 Geraldton District Hospital is happy to announce, on March 18, 2019, the official opening of our new palliative care suite, located on the acute care wing of the hospital. Thanks to the generosity of one of our own in the community. 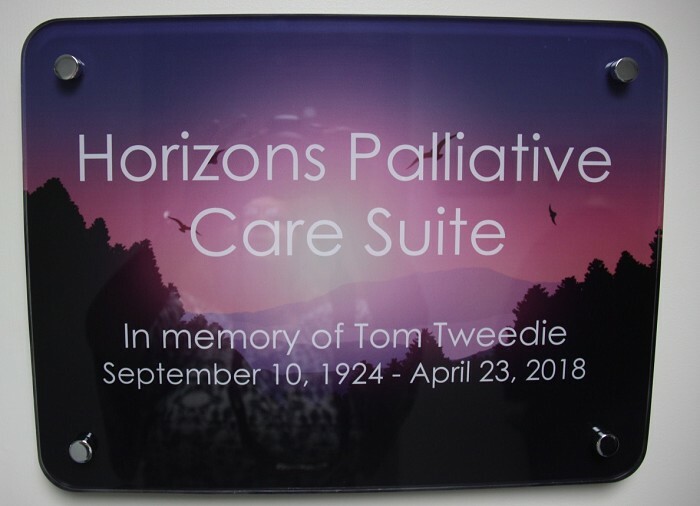 Mr. Tom Tweedie, who was a member of the Greenstone (Geraldton) community his entire life, upon his death, donated a generous amount to the hospital to be put towards patient care. The CEO, Lucy Bonanno, worked with Mr. Tweedie’s nephew, Derek Daneff, who resides in Thunder Bay, to put the funds to good use for the entire community. Mr. Daneff and his family felt, that helping to contribute to an end of life suite (also called the palliative care room), so that the patient is receiving specialized care in pain management, new equipment (for example, new mattress specific to those suffering with sensitive skin breakage and bed sores, etc..) and for family, to be able to stay close to their loved one, in a comfortable, home like environment, really helped show his Uncle’s commitment to the community. 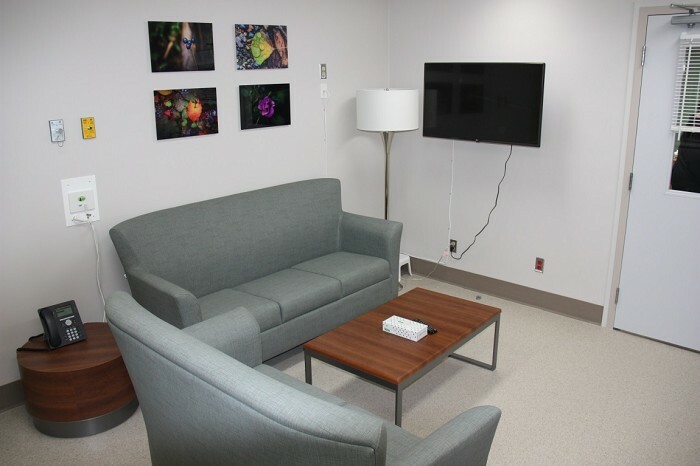 Mr. Daneff was part of the process, and together with the Hospice Committee, we were able to complete upgrades, purchase specialized equipment, all other room items, and overall, make the large suite look like you are walking into someone’s home as opposed to being in a hospital room. 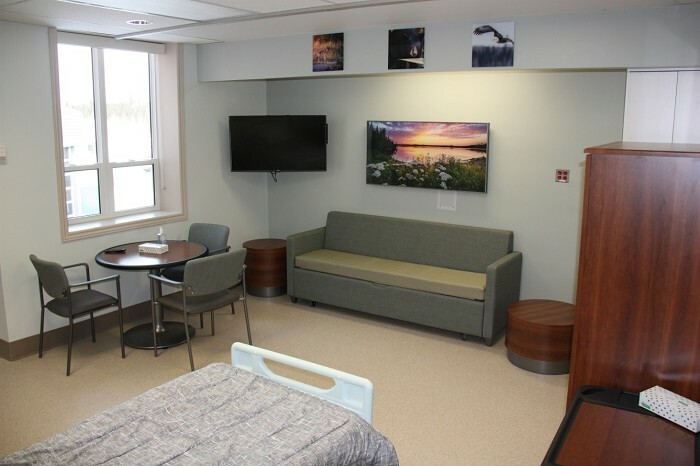 To qualify for admission to this bed, there must be a referral and the patient must meet the criteria laid out by the Northwest LHIN. The palliative care program is also funded by the Northwest LHIN and we must follow all the appropriate standards and regulations. We are very grateful for this generous donation from Mr. Tweedie’s estate, and to Derek Daneff, for contributing to the hospital, so that for years to come, many in the community will reach their end of life care in a home-like environment, located in the hospital, where the patient receives high level of care that is required during this very difficult and stressful time, with family around them at all times.